The family of William and Elizabeth Steele (nee Bateman). 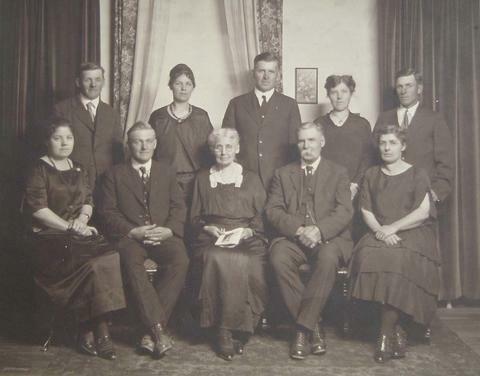 Back Row, from left: Tom Steele, Alma Kneeshaw, Ernest Steele, Martha Neilly, Norm Steele. Front Row: Edna Griffiths, Frank Steele, Elizabeth Steele, William Steele, Clara Kneeshaw.